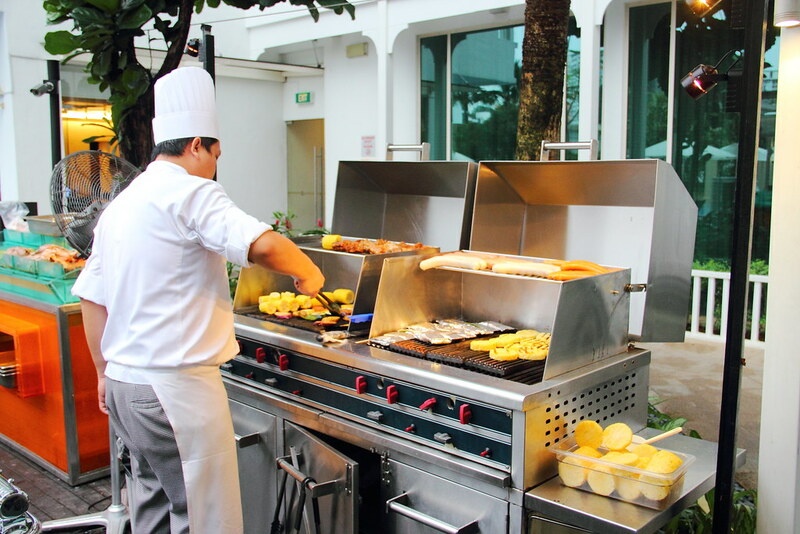 Weekend has become bigger and better at Cocobolo Poolside Bar + Grill, Park Hotel Clarke Quay with the revamped weekend barbecue buffet menu. 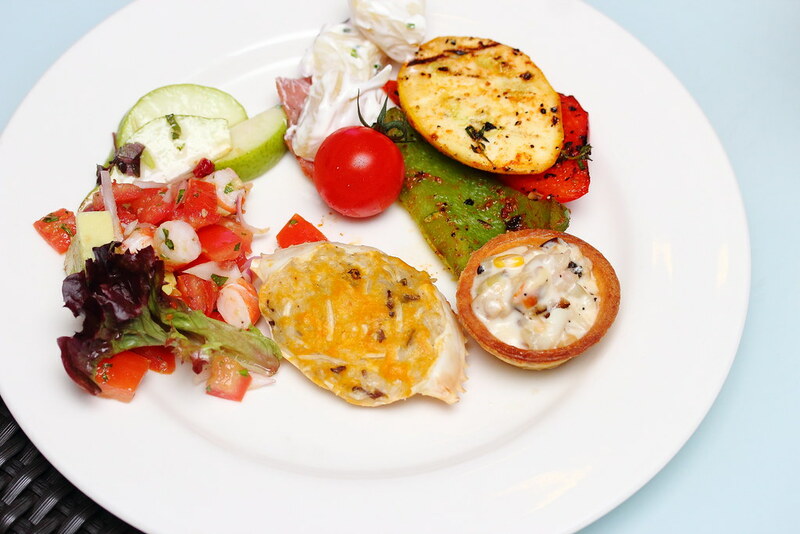 The new menu features an upsized variety of premium meats and seafood items. 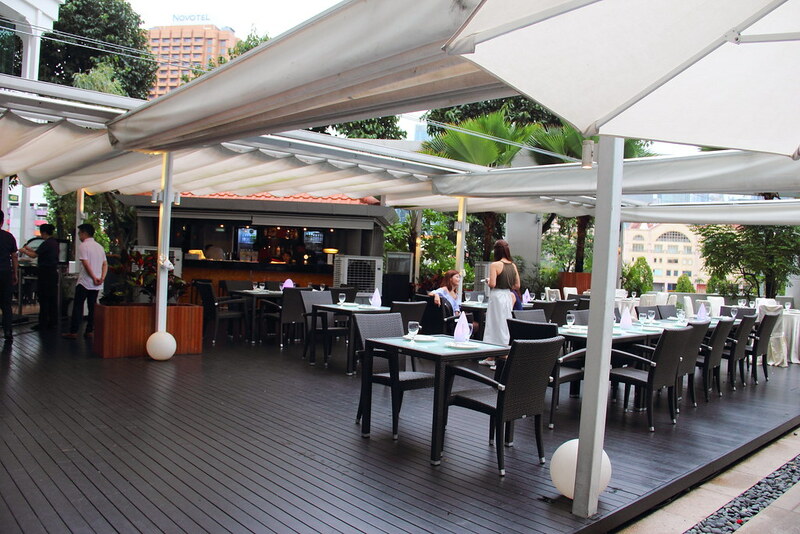 In addition, the alfresco restaurant also expanded its selection of appetisers and hot mains. 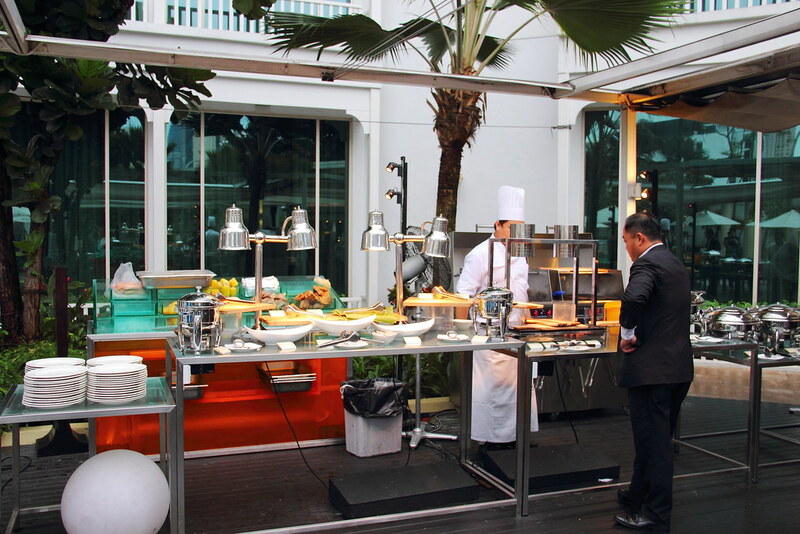 The chef will grill the meats and seafood a la minute with the smells of smoky flavours filling the air, together with the sounds of sizzling meats. Firing up the appetite, one can tuck in to a variety of delectable appetisers to kick start the evening while waiting for the meats and seafood to be cooked under the grill. 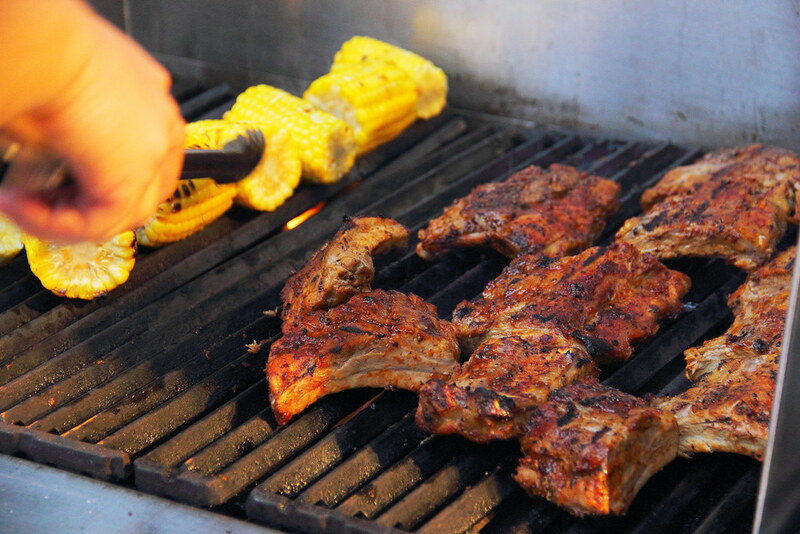 From the grill, guests can savour the New Zealand Angus Striploin, Australian Rack of Lamb, U.S. Baby Back Ribs in Spicy Chipotle Sauce, as well as an array of gourmet sausages. My favourit from the meat section is the pork ribs and N.Z. Angus steak. 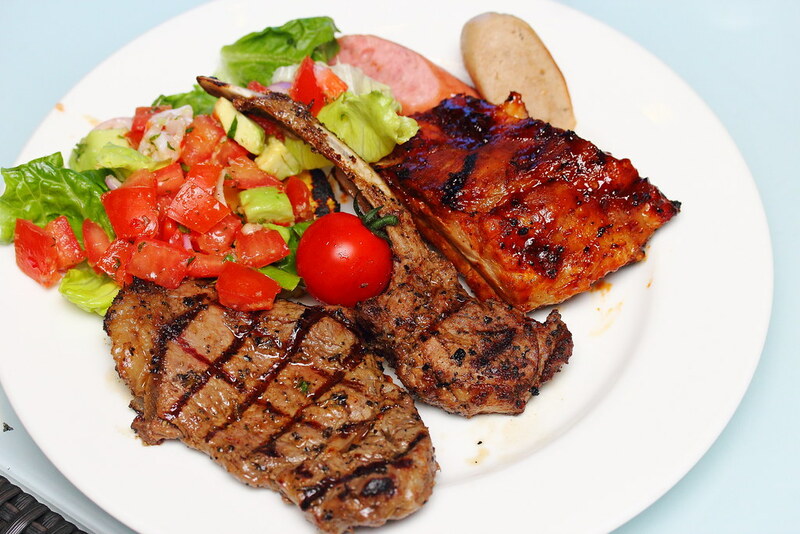 By the way, you can also specially request the chef to cook your steak to your preferred doneness. 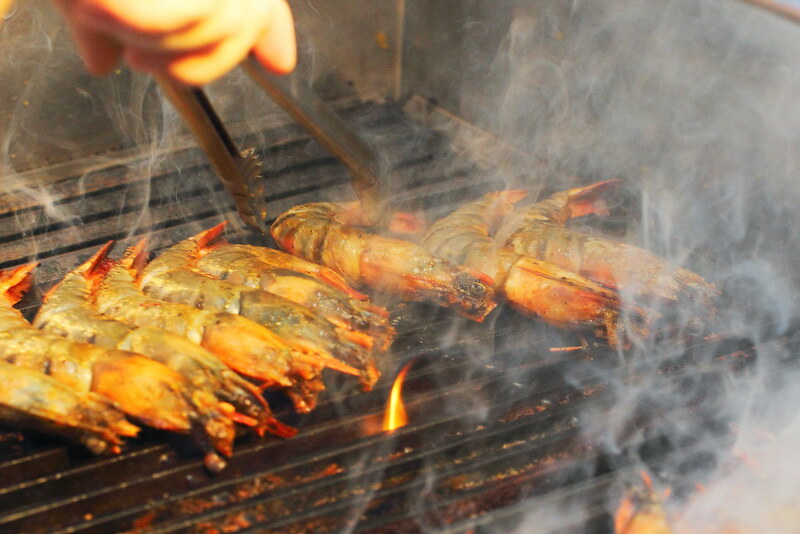 If you are a seafood person, the fresh catch has items such as the Cajun-spiced Tiger Prawns, Tumeric-laced Arrow Squid and Grilled Mackerel Fish in Banana Leaf. 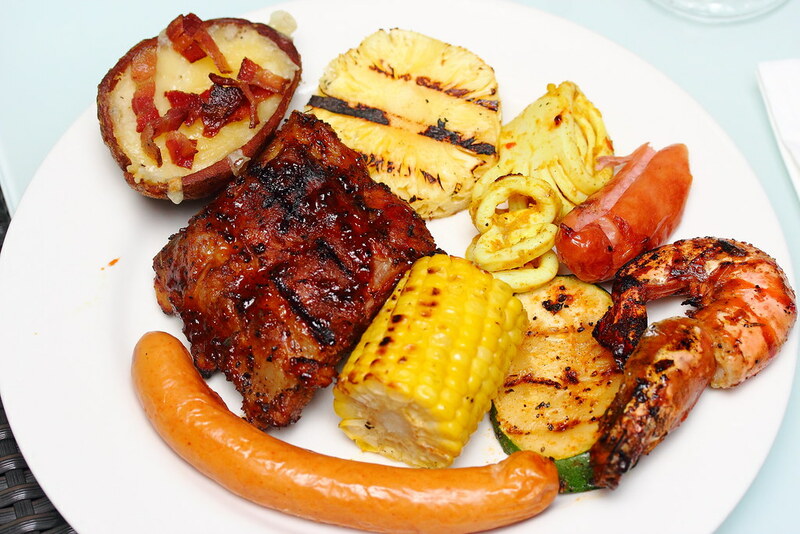 On top of the grilled meats and seafood, I like the grilled pineapple, corns and vegetables. They offered a good variety to the overall experience. Do remember to keep some space for dessert. 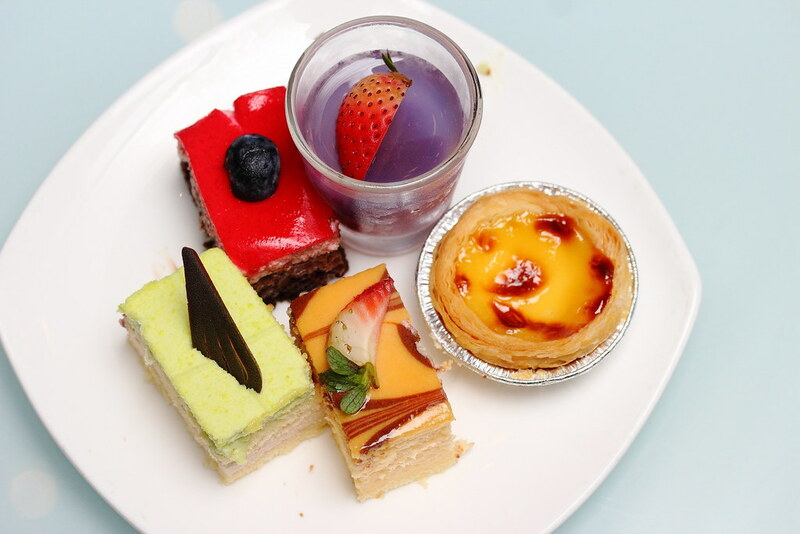 The assorted dessert spread comprised of sweet treats such as Apple Crumble Pie, Caramelised Pear Tart, Chocolate Raspberry Cake, New York Cheesecake, Green Tea Chestnut Mousse Cake, and Portuguese Egg Tarts. There is even mini Magnum and Cornetto ice cream to end the balmy evening after a mouthwatering barbecue feast. Price: $57++ per adult, $28.50++ per children (6 to 12 yrs), Include a glass of draft beer.